This voucher is valid for 1 Tandem Skydive. Don't miss this great value offer and save $75. Jumps may be completed any day within 3 years of the date of purchase. Transfers are available from the Sydney CBD if required please let our booking team know when you make your booking. Closest Skydiving Centre to Sydney. Great views of the Blue Mountains, Coast and Sydney skyline. 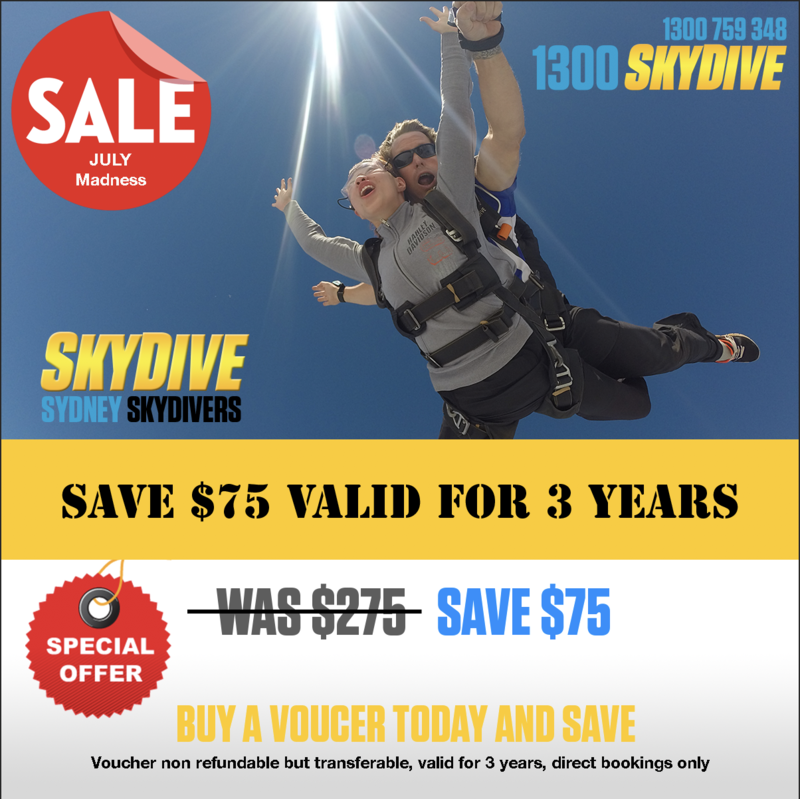 VOCHER AVAILABILITY First 100 customers so don't miss out at this amazing price so hurry and call our friendly booking team to book 7am - 9pm 7 days 1300SKYDIVE (1300 759 348) (02) 97919155 or click and purchase online.